Recent release “The Rocking Horse” from Page Publishing author Rita Kindt is an endearing story about a little girl’s grand adventure through the enchanted woods. Rita Kindt, a retired freelance artist with a BFA from the Milwaukee Institute of Art and Design, and an activities director and taught watercolor painting to seniors, has completed her new book “The Rocking Horse”: an astounding book of Suzie’s amazing journey that is filled with colorful landscapes and magical creatures. Published by New York City-based Page Publishing, Rita Kindt’s work will surely relate to readers of the youth spectrum with themes about being true to themselves and the practice of compassion for all things. 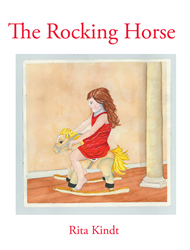 Readers who wish to experience this entertaining work can purchase “The Rocking Horse” at bookstores everywhere, or online at the Apple iTunes store, Amazon, Google Play, or Barnes and Noble.